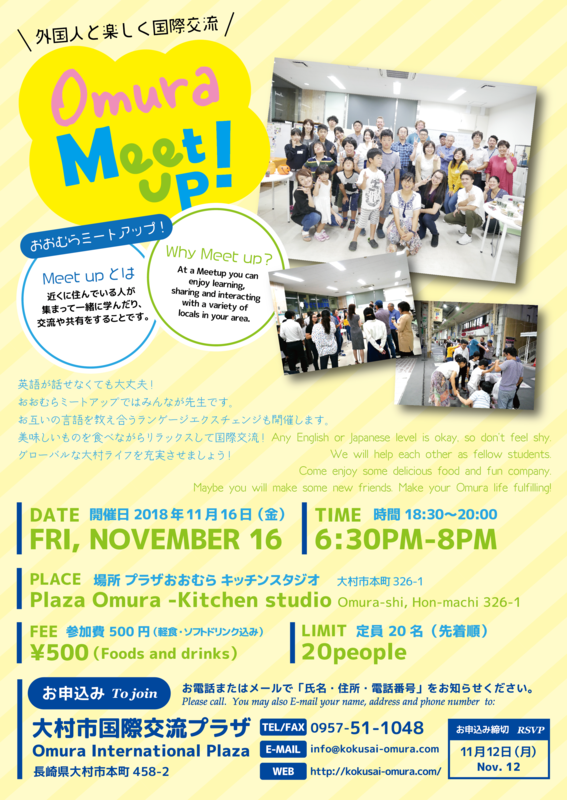 Any English or Japanese level is okay, so don’t feel shy. We will help each other as fellow students. Come enjoy some delicious food and fun company. Maybe you will make some new friends. 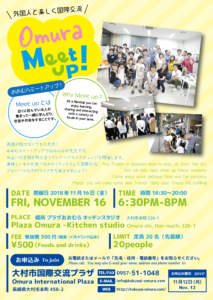 Make your Omura life fulfilling!